The price range for the sale of 7.6 % stake in Russia’s state-owned lender Sberbank has been pushed up at 92-94 roubles ($3.01-$3.07) per share. ­Banking sources have confirmed the new price; up from the minimum 91 roubles announced just a day earlier. Sberbank closed the order book on the 7.6% stake, worth over $5.2billion, at 1440 GMT on Tuesday. While the minimum price for the sale is now 92 roubles per share, the book was reportedly covered by Monday evening in Moscow, with bids for the 1.71 billion shares on offer coming in at 93.5 roubles or higher, raising the value of the stake. The sale was put off last year due to unfavorable market conditions. Improving sentiment made it possible to go ahead with the sale on Monday, with Russia back on track with its privatization plan. “I think it’s a great time for Sberbank’s placement. The risk appetite is on the rise and the appetite for the financial sector is getting really strong, and Russia's specific risk appetite is improving. Sberbank’s secondary public offering is going to be very successful, because Sberbank is offering the price that is rumoured to be very reasonable, below the valuations of many of Sberbank's global peers,” Mark Rubinstein from Metropol IFC told RT. “The bank is leaving some money on the table, giving investors some room for appreciation, which is a very right thing to do, given the fact that we are just coming out of a very risky period in the market,” he continues. 90% of the stake will be placed in London in the form of global depositary shares, each equivalent to four ordinary shares. Sberbank CEO Herman Gref says Asian investors will be interested in buying stock in Russia's top lender but gave no names to Reuters. Several Russian news agencies have reported that US private equity firm TPG, already a minority shareholder in VTB – Russia's second biggest lender, wanted to buy a significant stake. 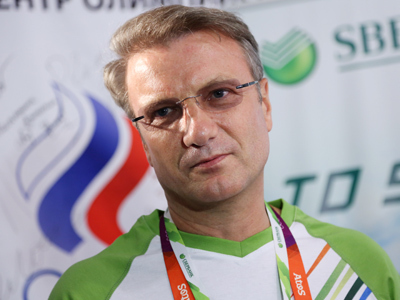 In June last year, Gref said Sberbank planned to hold talks with TPG regarding its possible participation in the sale. 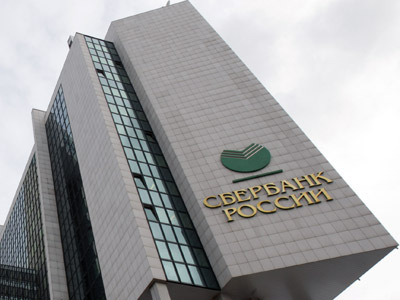 Alexander Golovtsov, Head of Research at UralSib agrees that Sberbank’s pricing is fair, saying that large sovereign funds will be among prospective institutional investors. 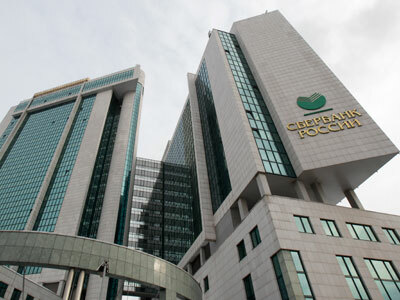 “Sberbank may see Fidelity, Blackrock, Singapore state-owned Temasek, Abu Dhabi Investment Authority, as well as Chinese and Japanese CITIC pension funds among potential shareholders,” he told gazeta.ru. Sberbank shares were down 0.72% to 94.88 roubles at 1430 GMT, valuing the 7.6% stake at 161.3 billion roubles ($5.2 billion).